One hundred years ago this week on April 24th at 7:21pm, President Woodrow Wilson pressed a button in Washington DC that turned on the lights of every floor in the new Woolworth Building marking the official opening of the tallest office building in the world. 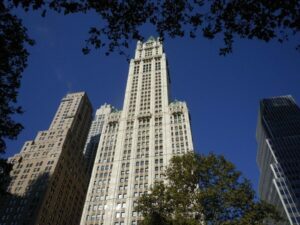 Five and Dime entrepreneur, Frank W. Woolworth held a dinner that evening for 900 people on the 27th floor in honor of the building architect, Cass Gilbert, considered the highest skyscraper dinner ever held in the world. Built at a cost of $13,500,000 (and paid for in cash), the building became the corporate headquarters for the rapidly growing Woolworth Company and also housed the Irving Trust Company and Columbia Records. In addition it had an observation deck on the 57th floor where visitors could see the view from the top of New York City for a small charge. 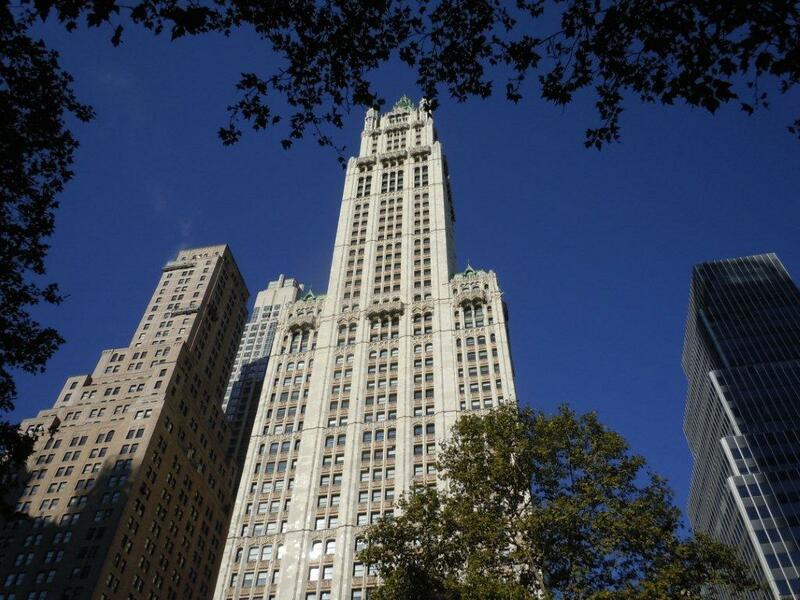 The building was owned by the Woolworth Company for 85 years until 1998, when the Venator Group (formerly the F. W. Woolworth Company) sold it to the Witkoff Group for $155 million. In August 2012, an investment group led by Alchemy Properties, a New York developer, bought the top 30 floors of the landmark on July 31 for $68 million from the Witkoff Group and Cammeby’s International. They are currently converting those floors to residential condominiums for sale. For more interesting historical facts about F. W. Woolworth, click here.